Paradox – Their generosity is no contradiction! 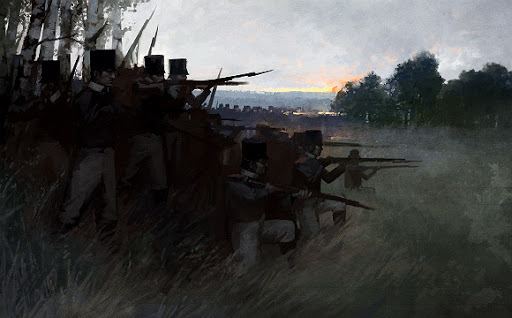 In March of the Eagles, Rise in power in the era of the Napoleonic Wars, the ten years of conflict in Europe between the years 1805 – 1820, and move on to claim the control of Europe. To enter the draw all you have to do is raise £100 in sponsorship on your Just Giving page for Sick Kids Save Point. The draw will be made a day or two after the weekend of 11th-14th October, which is when we’ll be playing games for 24 hours in aid of the Sick Kids Friends Foundation. If you haven’t signed up yet, simply follow the directions on the right – read our safety guidelines, make a JustGiving page to collect sponsorship, and tell your friends! Sorry if you’ve been waiting, this took me about 4 hours to post after a PC meltdown…. Email us with your shipping details to claim your prize, or let us know if you won’t be claiming it and we’ll sell it on ebay. Every penny raised will go to the Sick Kids Friends Foundation of course! From Rockstar North to Ludometrics, from Capcom to Blazing Griffin, we salute you! Oh and special thanks to Lucky Frame and Twiddly, who donated codes for their games that we can giveaway- more on that later… In the meantime, go drool over what you could win. Make Sick Kids Save Point a murder mystery weekend! Edinburgh Indie studio Blazing Griffin is relaunching The Ship, a unique multiplayer PC game. Blazing Griffin have nailed their awesome credentials to the mast by giving us 5 copies of the game towards our prize list – crivvens! Not only that, but each code has two gift codes for your friends, and each of those has a further one. This means each code allows five of you to set sail for a wink murder cruise! But it’ll be first come first served… a dish best served cold. Apologies for the bad quality. Email us at info@sickkidssavepoint.org to claim your prize, tell us t-shirt size, or tell us to put it to charity auction. All proceeds, of course will go to the charity. We’re delighted to add an addition to our prize list. Jack Henderson, the Sick Kids Fundraising phenomenon of this last year, has donated a signed copy of his book ‘Jack Draws Anything’ – a collection of his brilliant and often hilarious drawings. Jack Henderson (6), of Prestonpans, East Lothian came up with the idea to “draw anything” in return for donations to the hospital that treats his wee brother, after a family friend bought one of his drawings for 20p. After two weeks, Jack had over 500 picture requests and then came TV appearances and international recognition! Now he has raised over £25,000 for the Sick Kids Friends Foundation. The requested pictures range from a “dinosaur diving into a pool of jelly” (#1) to “my (extremely bald) friend Brian dancing like a crazy man” (#80). Sick Kids Save Point wanted to put a request in but by the time we donated Jack was overwhelmed by the requests and had a backlog of several months. No biggy – we were happy to support him anyway as he’s been a real inspiration to us. Thanks Jack – you’re our hero! Go check out his latest drawings at his blog. To be in with a chance of winning, all you need to do is raise £100 or more in sponsorship. Rockstar North supports Sick Kids Save Point… again! We are delighted to announce that local game maestros Rockstar North, creators of Grand Theft Auto, have again decided to back Sick Kids Save Point. Last year would not have been possible without their incredible support – indeed many Rockstar employees took part! Watch this space for details on the prizes that Rockstar have donated – Raise £100 in sponsorship for your marathon and you will be entered into the prize draw automatically. Other companies have offered prizes too, and we will announce them in due course… Play Games. Save Kids. AND Win Stuff. Pretty Good eh?